Our shop is getting so famous that we do not even know when there is a new article in a newspaper or magazine or again something on TV. 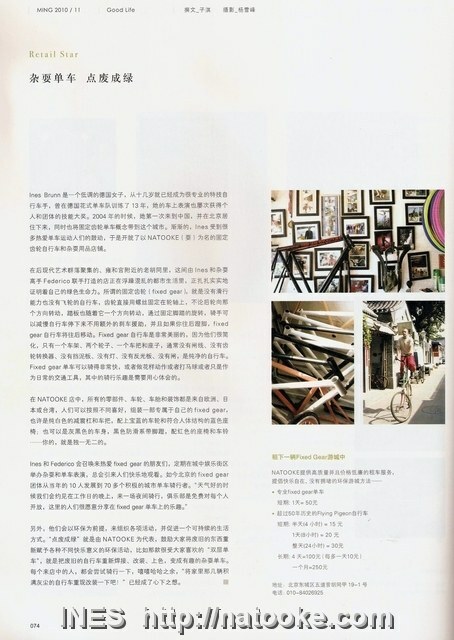 2 friends had mentioned they saw us in a magazine called Ming 明日风尚. Today Echo brought the November 2010 edition of the magazine that Tom had found. It is a very nice article about Federico and me and our shop. 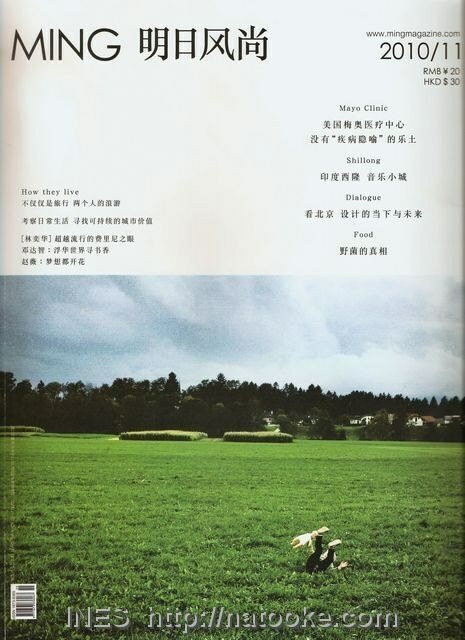 It is in the „Good Life“ section of the magazine and has the main title „Retail Star“. Another friend mentioned that there is also an article in the high speed train magazine. I remember being interviewed for that. I hope I can see the article soon. This entry was posted on Mittwoch, November 17th, 2010 at 18:42 and is filed under Beijing, Fixed Gear, Juggling, Media, Natooke. You can follow any responses to this entry through the RSS 2.0 feed. Both comments and pings are currently closed.